If you want to celebrate the culture and identity that makes Ireland unique, you should really do it in Dublin. The Irish capital is a hugely popular destination for those seeking to revel in their Irish roots or those who simply want to experience the legendary craic. But that’s not the Dublin we’re going to look at here. For Irish Americans and Gaelic lovers in general, there’s another Dublin where all things Celtic are celebrated ‒ Dublin, Ohio, in the USA. 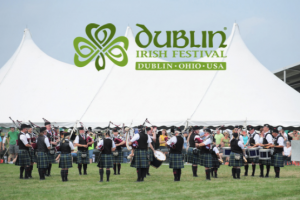 Over the last 28 years, the first weekend in August has been a special one in Dublin, Ohio, as it hosts a three-day festival celebrating all aspects of Irish culture and heritage. 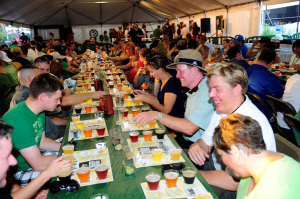 The Dublin Irish Festival is the largest of its kind anywhere in the world and attracts an audience of more than a hundred thousand revellers. 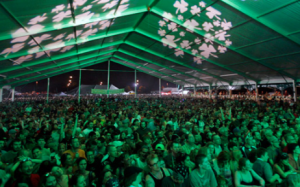 Seven stages host 65 acts, and over five hundred performers get to showcase their talents to the eager audiences. Keen to encourage and support local talent, the Dublin Irish Festival reserves many slots for established and up-and-coming acts from the city and its environs. But the 2016 festival left plenty of room for international acts to come strut their stuff and get the party jumping. For 2017, expect major craic to erupt when artists like the Red Hot Chilli Pipers take to the stage, having won the UK TV talent show ‘When Will I Be Famous’ and delighted festival crowds earlier this year. There will no doubt also be an array of musical styles on show again, from purist traditional songs through to those who’ve electrified audiences by giving Irish music a more contemporary treatment. Pride of place is given to the Dublin Irish Festival Academy, a teaching venture during the festivities. Here, those interested in the craft of traditional music can get masterclasses from experienced professional musicians. The instruments one can learn include the fiddle, banjo, mandolin, harmonica, and for the percussionists, the bodhrán. Space is limited in these classes as they fill up fast, and your class fee also includes a one-day festival pass. Though predominately a music festival, this three-day event provides plenty more entertainment to complement the musical acts. The celebration of all things Irish is broad enough to encompass historical storytelling, visits and talks from Irish authors, and demonstrations of age-old skills like wool and flax weaving that help to keep lost traditions alive and valuable. Another highlight, though you might not want to bring young kids to this one, is the recreation of an Irish wake. The Wake Tent contains a pretend corpse, laid out on a door and surrounded by mourners celebrating the deceased’s ‘life’. There is also food and beverage tasting opportunities and the Gaelic Games Skills Camps will allow sporty types to try out Irish games like hurling, Gaelic Football, and road bowling. Meanwhile, a boxing showcase demonstrates the good reasons for the ‘Fighting Irish’ reputation ‒ ten bouts will showcase plenty of pugilistic talent. A more reflective activity is to visit the genealogy tent to uncover one’s Celtic roots, which can fascinate history seekers for hours.